Have a blast for your birthday and celebrate it like no other! Anyone would want to come up with an amazing and unforgettable birthday party every year. After all, you wouldn’t be as young and as old as you are in every birthday party that you get to celebrate. All the details should be in sync as you near your birthday party. From themed decorations to custom cakes, unique invitations, and even birthday giveaways, you have to organize it all. 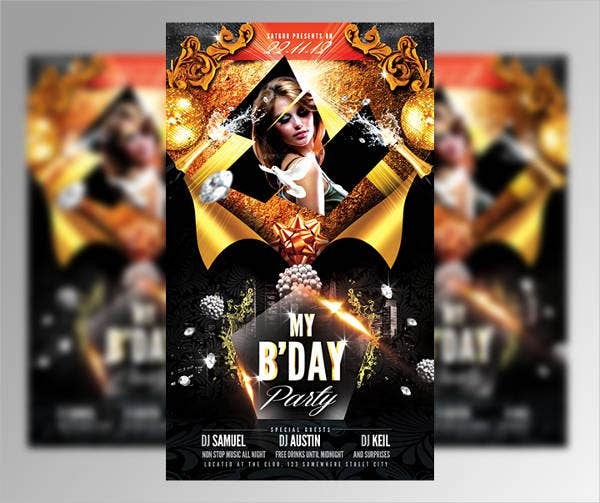 Here, you might want to read through and check out some of our birthday party flyer templates with attractive designs that will surely make your guests flock to your party. 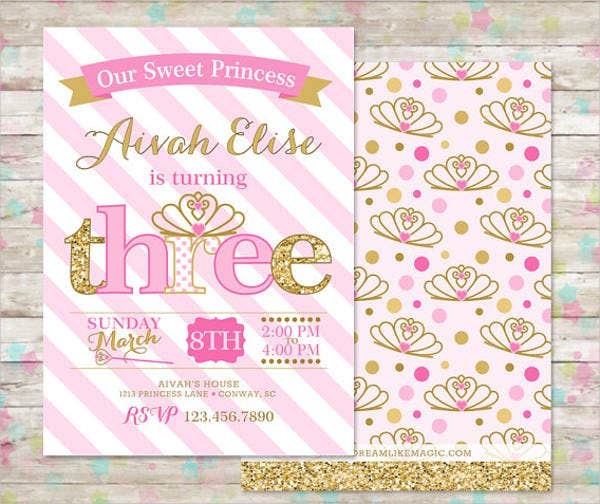 You can use these as unique invitations, as part of your games, and even as a unique way of telling others, “Hey, I’m turning one year older!” Read on to find what you’re looking for. So You’re Planning a Birthday . . . Decide on the overall theme of your birthday party and formulate different concepts on how you go about with the details and decorations of your party. You also have to decide on and confirm the guest list so you would know the size of the party as well as the venue that you should choose. 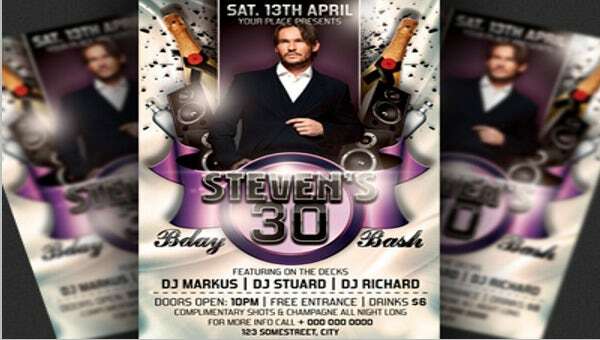 Consider making use of these party flyer templates that we offer on this page as this could be an ideal way of making your party known to those guests whom you might have missed in your list. Order different party needs and favors so you would know which ones are readily available. It is advised that you have a list of your orders weeks before your party. This way, you would not have to worry on what you still lack for your party. Advanced booking for entertainment segments or equipment for your party is definitely a must. A lot of other parties might book before you, and it might do so much conflict if you would book late. 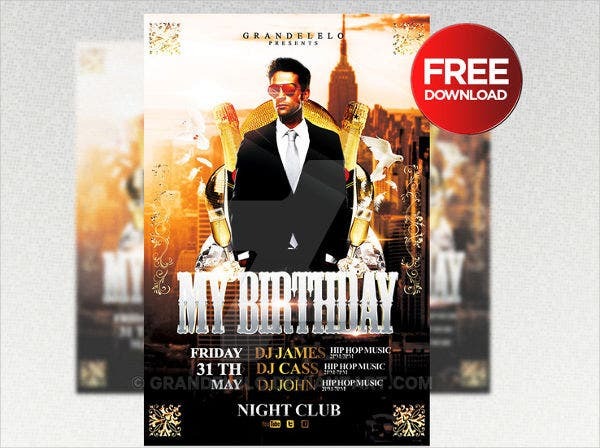 So You Need Birthday Party Flyers . . . 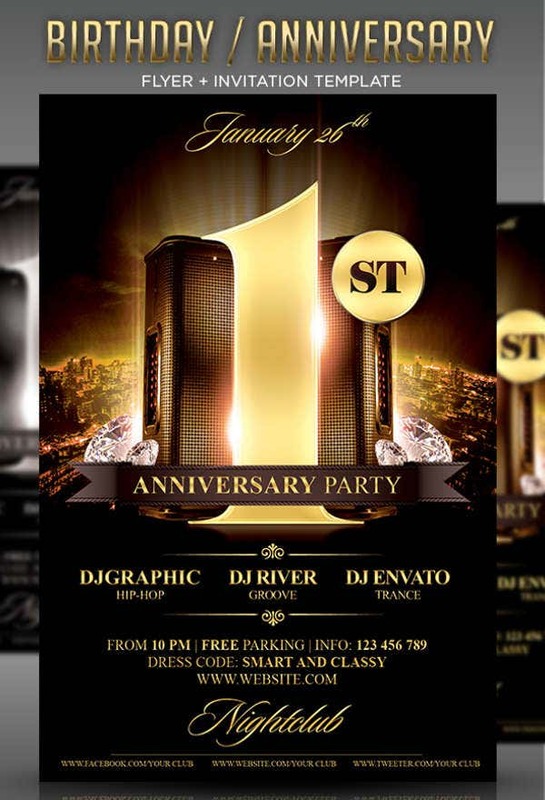 If you stick with your plan on giving away flyer invitation cards instead of other ways of conventional invitations, our flyer invitation templates will surely be of great help to you! 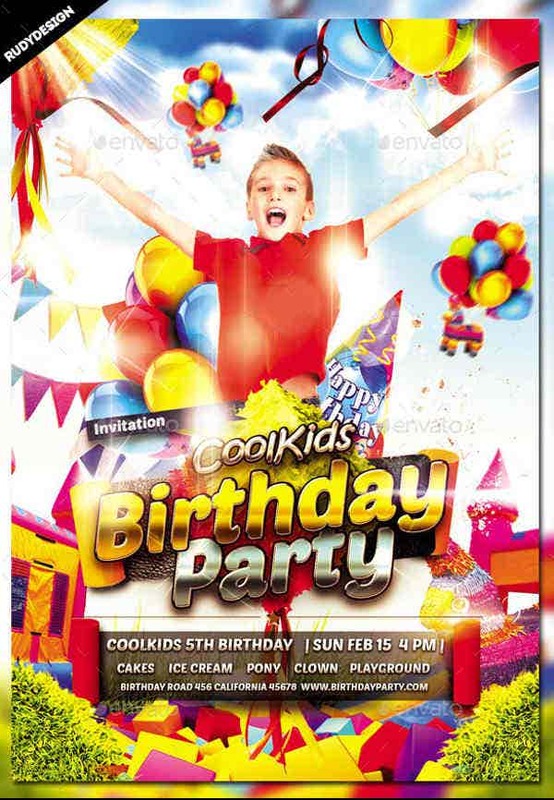 The Kids’ Birthday Party Flyer Template will come in handy for hands-on mothers who want perfect kiddie designs and layouts that will serve as an invitation for their kid’s birthday celebration. Slap on a picture of your kids; add bright, fun colors and the party details, and you’re all set! 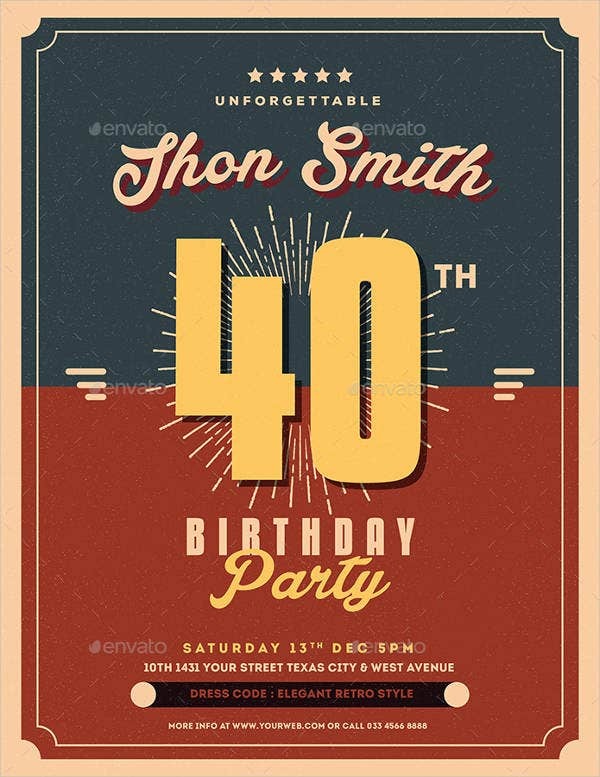 If you are fond of classic themed birthday parties, the Birthday Bash Party Flyer Template could be perfect for the occasion. It could be just right for cocktail parties too. 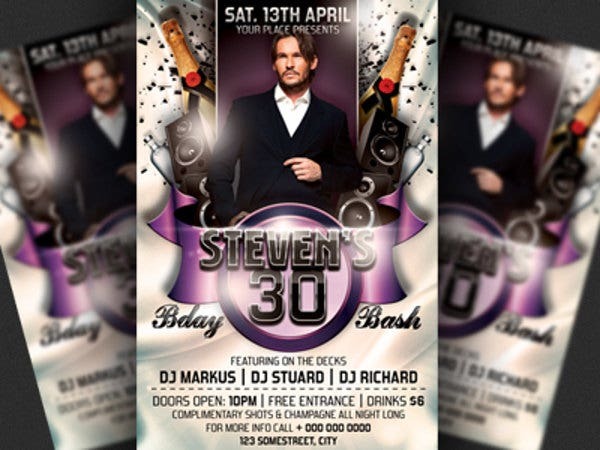 Add a single image and a few words of invitation on your flyers, then you’re good to go. 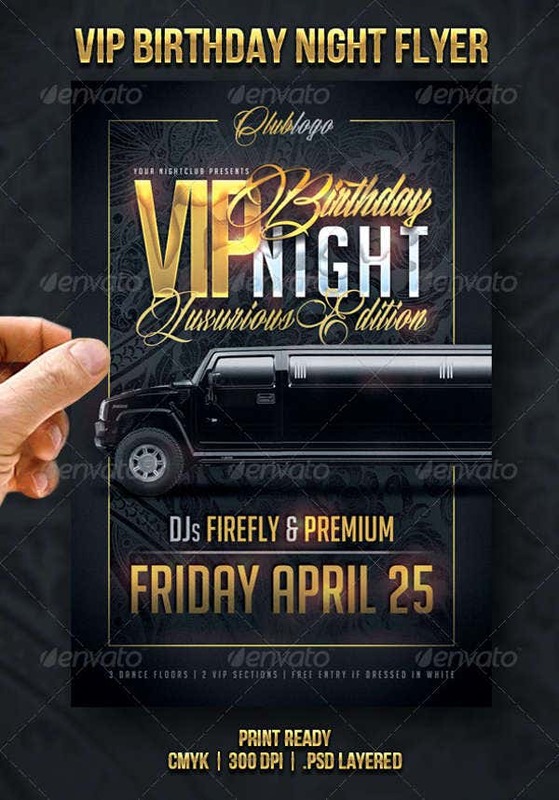 VIP Birthday Party Flyer Template is like hitting two birds with one stone. You are assured of a sophisticated type of birthday invitation flyer. This template is perfect to use for types of parties that are done in intimate gatherings as well as to show your wild side (think limo parties and flowing champagne). 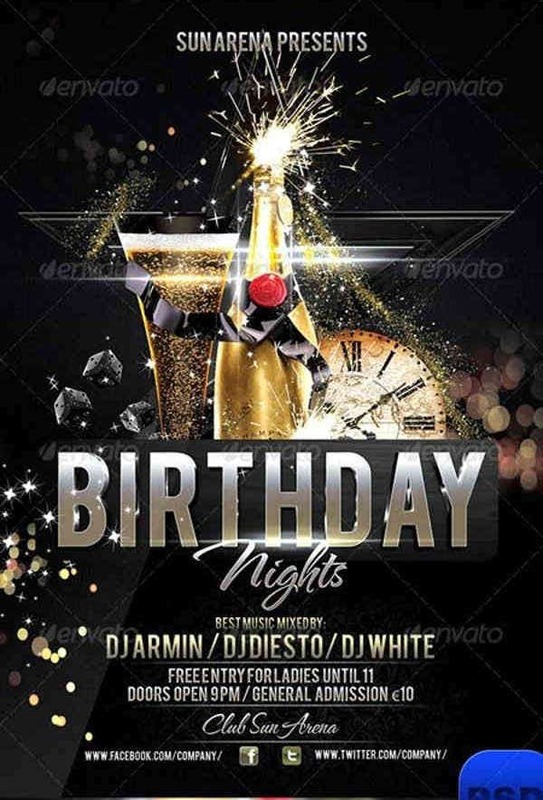 We have a lot more birthday flyer templates offered on this post. Here at Template.net, we like to take care of our readers, so everything is all taken cared of. All you need to do is choose the best ones out of the best and download!